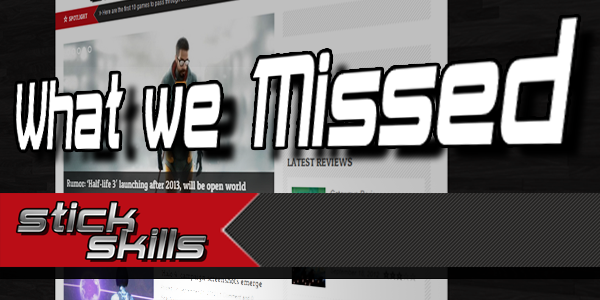 This week, Rambo gets a pre-order bonus, Phosphor Games show off their new MMO and much more. Reef Entertainment has announced a couple of pre-order bonuses for Rambo The Video Game, their upcoming rails shooter based on the first three Rambo films. As you can see below, one figure is based on Rambo’s look from First Blood while the other uses his iconic image from First Blood Part II. Retailers for each figure have yet to be confirmed, unless you’re in Australia in which case you can get the First Blood figurine at JB Hi Fi or the Part 2 figure at EBGames. A post apocalyptic survival game which doesn’t involve zombies? Surely not! That’s exactly what Phosphor Games are aiming for with their new MMO, Nether. Inspired by games like Day Z, Nether will challenge players to survive in a dense urban enviroment, rather than the rural ones we’ve seen in most survival games. The Nether are the games enemies, mutated creatures designed to be much more challenging and frightening than the usual zombie fare. These creatures will stalk players, using their ability to teleport to avoid attacks and sneak up on you. Phosphor reference the movie Alien as an inspiration in this regard, where one deadly creature can take out an entire group of people. For more info on Nether, check out the gameplay reveal below then head over to PC Gamer to read their full article. EA has announced they will be showing off some pre-alpha gameplay from their upcoming UFC game at their Gamescom media briefing. That’ll be happening on August 20th at 10AM Eastern, so be on the look out around that time for the footage to no doubt appear online. EA Sports UFC will be heading to next gen consoles in Spring 2014. The nature of Payday‘s level/gameplay design makes it ripe for modding and player created content, something which Overkill are away of. “We would love to add support for creating community generated content,” is Goldfarb’s response to the suggestion. Take this one with a pinch of salt, but Blizzard has possibly trademarked the term “The Dark Below”. The possibly part there is because there isn’t much evidence to support this, with initial stories about the trademark proving to be based on nothing more than an image of a form suggesting the trademark. There is one reference to The Dark Below in Blizzard lore, specifically Warcraft lore, but it’s non-canon from the Warcraft RPG. We’ll keep you informed if there are any developments, but for now this one’s looking to have been faked.